There is but one New Orleans; Queen City of the Inland Sea; Gateway to the Mississippi Valley; Paris of America. She is the most wicked of cities, with a past as thick as roux simmering on a stovetop. This backward-like town built on a bed of oyster shells offers some voodoo in a good ol’ Southern night, brewing a provocative spell through the pervasive French Quarter. She enchants vampires to roam and spirits to haunt, and if a passerby is willing to probe, there are mysteries to unfold. 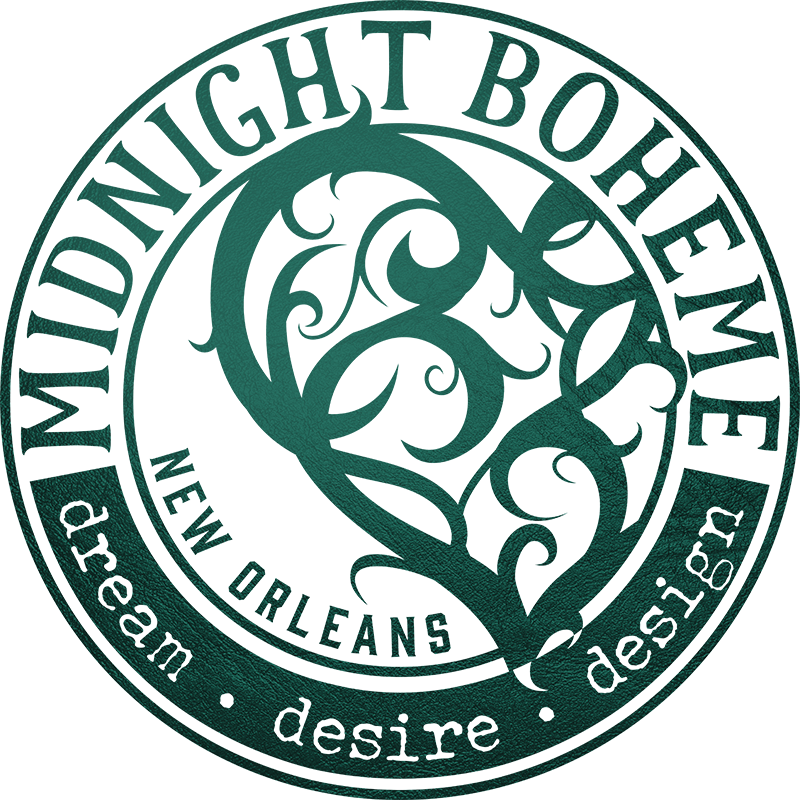 In the same fashion that ancient mermaids lured sailors to a watery death, New Orleans sends her own siren call to those compelled by morbid curiosity. Do extreme circumstances infuse the present with entities of the past? Do the streets lurk with the undead after dark? Does the haunted history of old New Orleans possess the ghosts of those who brought ill will upon the riverbanks of the Mississippi? In the early days of colonists, among the snakes, alligators, mosquitoes, and humidity, there were thieves, murderers, and culprits of every type and cast. Yet females were rare, and in order to further the colony, young women traveled from France with their lives packed into strangely shaped portmanteaus. Suitcases, shaped like coffins, reportedly contained the undead bodies of Parisian vampires. Until married, the “coffin girls” lived as nuns in the old Ursuline Convent, stashing their coffin-like suitcases in the attic where, to this day, they allegedly remain. These coffins, still hidden away from the world, mysteriously open at night, and the vampires hunt the dark streets of the Quarter, stalking their next victims before returning to their beds at the dreaded dawn. The bloodlust of devils in the convent hide no more than two blocks away from the renowned LaLaurie Mansion, a building with such macabre history that many shy away from its details. As the story goes, Madame Delphine LaLaurie lived an aristocratic lavish lifestyle in an opulent Royal Street home during the early 1800s, a time when slavery was not outlawed but the mistreatment of slaves was illegal. One afternoon, firefighters charged the mansion to douse a small conflagration, finding a grisly torture chamber behind a locked door in the attic. Slaves were discovered chained to the walls, strapped to makeshift operating tables, and imprisoned in animal cages, half-dead, half-alive and begging for mercy. Torture and mutilation scarred their naked bodies, and when the townspeople tried to arrest Madame LaLaurie, her carriage burst through the mansion gates, disappearing into the foggy night, the notorious “Mistress of Death” never found or brought to justice. Beneath the swollen underbelly of New Orleans lies the carefully hidden spirits of its haunted past, the tales of twisted fate retold from generation to generation. The dark journey through the city’s history seems to be tearfully marked by gravestone or ghost-sighting. What may lurk in the afterlife sometimes appears to the eyes of the living, and these paranormal encounters through the streets and shadows of this spirituous swampland forever ignite the imagination. It could be the story of a fallen Civil War soldier locked in an epic postmortem battle, or perhaps the lingering souls of a Creole family who refuse to vacate their former dwelling in the hereafter, or the priest who continues to walk the cathedral’s corridor in silent prayer long after his own demise. Such are the many myths marinating in the mist off the Mississippi. In New Orleans, there is always a story, a secret, a sliver of enemies, lovers, and the unknown. So when you should find yourself in La Nouvelle Orléans, live like you mean it, sin tonight and church tomorrow, and always expect the swamp to surely rise again. Because like or leave it, this city will love you… to death!